The Stitchery Journal is a year-long embroidery project, aimed at both beginners and advanced stitchers. There are youtube tutorials here for all of the projects and each pattern is loosely designed according to the month in the UK. 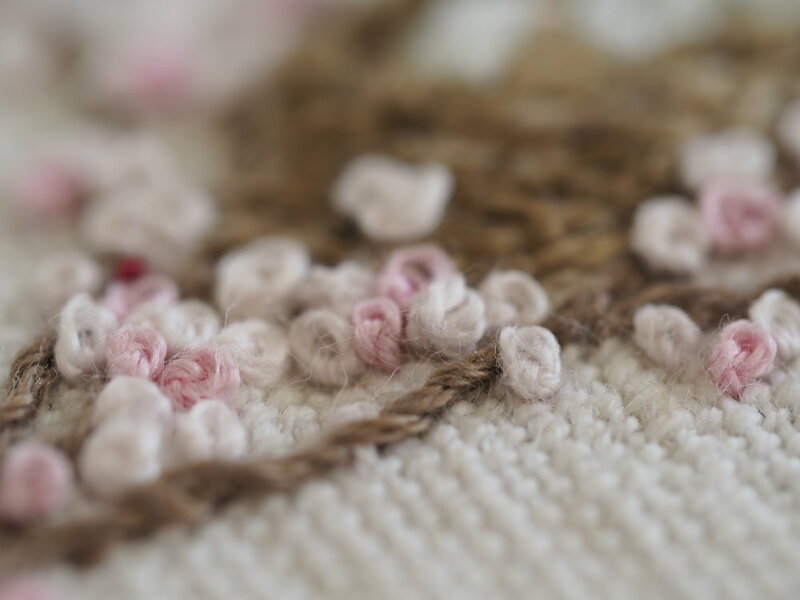 The year started with a dried hydrangea wreath and we've stitched floral hearts, daffodils, tulips and a little window box to name just a few. The Stitchery Journal was always intended to be just a 12-month project and so the last kit will be sent (with a little extra surprise pattern!) on 12th December. As we move into July, I'm starting to think about my designs for Christmas and the New Year and so it makes sense for me to have a break from compiling and sending Journal kits. New subscribers will still be welcome throughout the year but the catch-up patterns for January-July will only be available to buy until the end of July here. Use the drop-down box within the listing to add multiple months of stitchery patterns. Journals will be a regular stock item well into the new year. I think they are useful for all types of embroidery and mixed media work, but I want to make sure that they are still available for those people who joined the stitchery subscription but didn't initially want the accompanying journal. The Stitchery Journal subscription has attracted an incredible community on instagram - all of the participants are friendly and supportive. We use a couple of hashtags to share our work (#thestitchery and #thestitcheryjournal) and so many people have made good friendships through their love of embroidery with other stitchers. It has been so uplifting to witness. I've made good friends of my own through the subscribers too. If you would like to have a go at stitching but don't fancy the commitments associated with a subscription kit, I have started to release a range of standalone kits which can be ordered here. 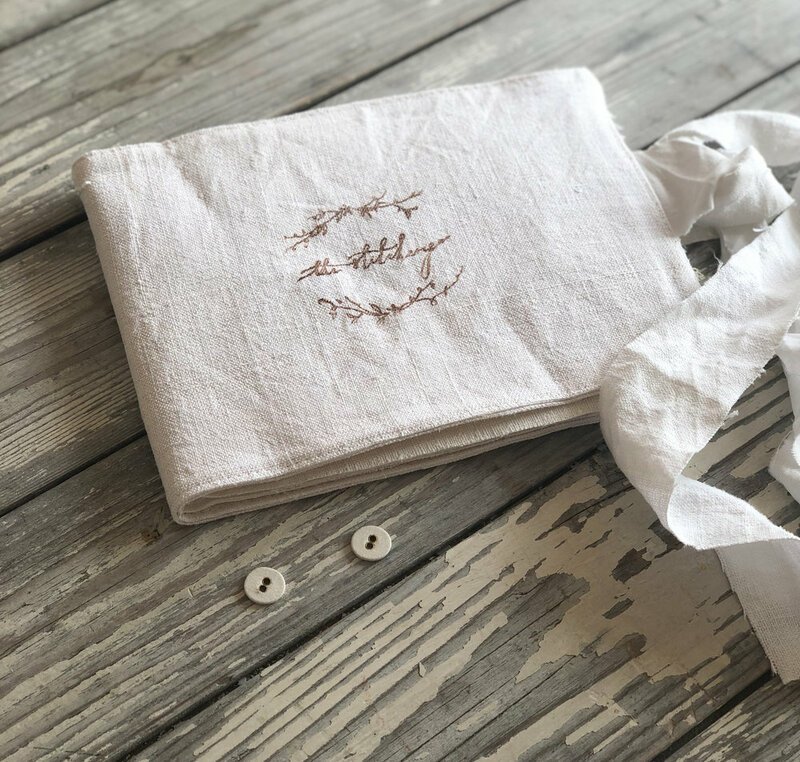 All of the kits have the linen and thread required to complete the project and there are accompanying youtube tutorials to help you to stitch them too. I really hope to see you on our Stitchery journey and I'm looking forward to sharing my plans for the 2019 Stitchery subscription kits which will be another exciting and beautiful collaboration with Kate at Oyster Bridge & Co.